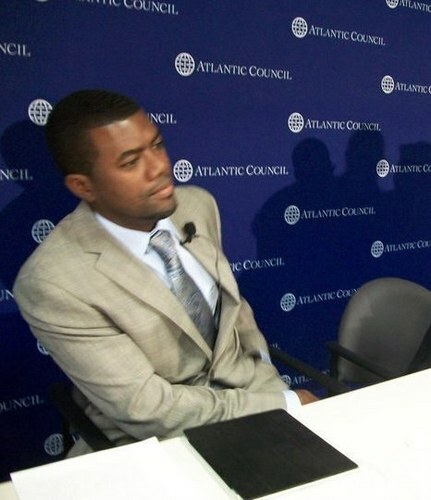 The social media cold-war between the special assistant to the president, Reno Omokri, and the former FCT minister, Nasir el-Rufai, is getting a little more intense as Omokri during the weekend took it to the next level. He fired a number of tweets specifically directed at El Rufai casting doubts on his stewardship as a minister of the Federal Republic. With the gloves apparently removed, the score is presently put at — Reno Omokri 1: 0 Nasir el-Rufai. The tweets with links are reproduced with their links below. 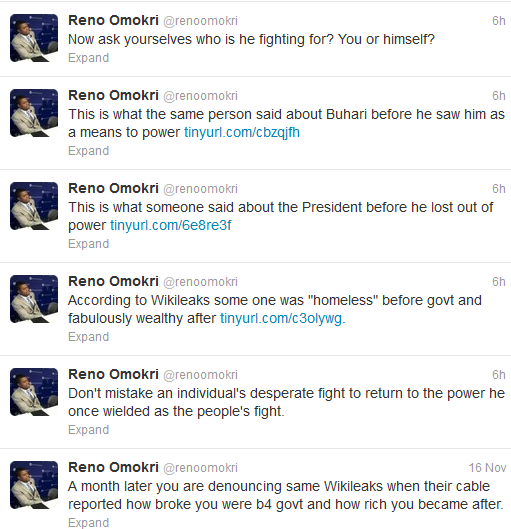 – Reno Omokri ‏@renoomokri According to Wikileaks some one was “homeless” before govt and fabulously wealthy after http://tinyurl.com/c3olywg . Tags: Abuja, FCT, Goodluck Jonathan, Nasir el-Rufai, nigeria, Reno Omokri, social media, twitter. Let every Nigerians should encourage and support President Goodluck Jonathan to actualize the Transformation Agenda in the country. This is terrible.Naija for all of us.